Multichannel strategies were once the sole focus of retailers. It was understood that different consumers purchased through multiple sales avenues. As sales were seen to come through numerous channels, the retailers structured their businesses accordingly; hiring door-to-door salespeople, pushing out catalogues and making sure there were enough customer assistants on the floor. It was an approach that could produce much more tangible ROI as investment in particular areas of sales resulted in a clear amount of conversions. 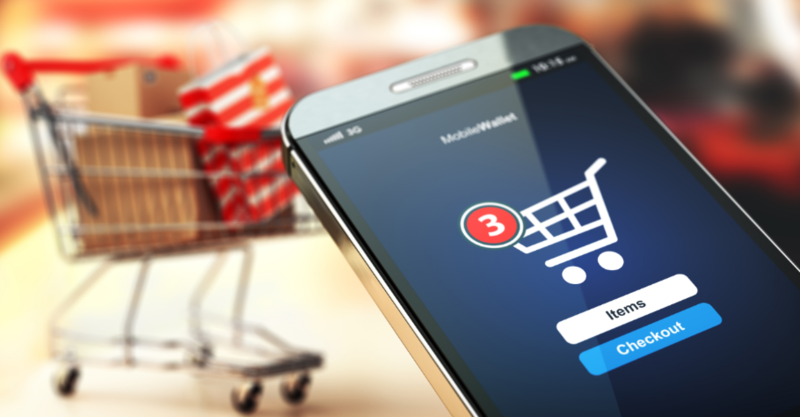 As the prevalence of mobile purchasing has expanded, there has been a distinct shift in the way the customer journey is mapped out and the new brand interactions which are seen as central to conversions. It’s far less easy to calculate sales metrics when the customer interacts with a brand on multiple platforms instantaneously. The table below helps to illustrate the key differences between an omnichannel and a multichannel retail strategy. More traditional interpretation of using multiple sales avenues for different types of customers and audiences. Assumes that most customers use multiple channels to interact with a brand before making a purchasing decision. Assumes that different customers shop in completely different ways so is key to expand sales to cover all sales avenues. Consumers are more informed and more diligent in assessing all relevant information about a product before converting. Example: sending a sales team to events, hiring door-to-door sales, pushing out a catalogue. Example: Ensuring that the right information about products is found both online and in-store, including positive reviews and full details of price and services. Customer will research products and compare before making a purchasing decision. Omnichannel retail takes a much more consumer-centric strategic approach. It looks not at how the customer can be sold to, but rather how the consumer interacts with a brand. Recognising the changes in the way customers make purchasing decisions is key when developing a retail strategy. Online and offline shopping are not separate entities functioning alone. It’s crucial to recognise the customer journey as one which interacts with both shopping methods, sometimes even at the same moment. A recent Google study suggests 8 in 10 smartphone shoppers use their mobile in-store to help with shopping. There is a wealth of online information that consumers are using to inform their purchases. Comparisons between products, prices and delivery options are easy and quick to discover online. Customers are thinking harder and taking longer to make a purchasing decision. McKinsey has produced research that shows how the model of the traditional sales funnel is broken. 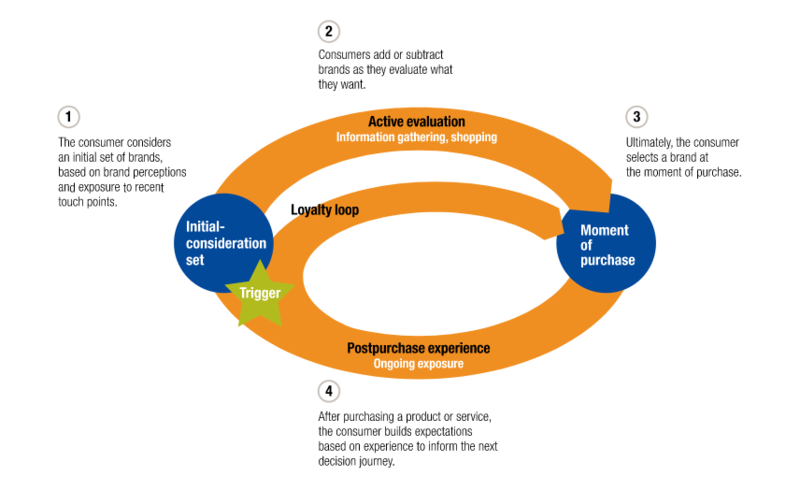 Instead, the decision-making process is now a circular journey where the consumer offers more sustained brand loyalty in return for the protracted conversion process. What is an omnichannel strategy? Adjusting a retailers presence for the online and offline market is essential when developing a competitive omnichannel retail strategy. It begins with mapping the customer journey in detail and ensuring all the information that they need to convert is there exactly when they look for it. This can be as simple as producing an outline of products and prices on a website or ensuring that positive reviews of the business can be found online. An omnichannel strategy offers visibility and clear relevant information on all the platforms the customer may engage with. As discussed earlier, it is much harder to verify the results of particular investments in the customer journey. However, there is one clear theme among many of the successful omnichannel retail strategies that exist, and that is the ability to put the customer convenience at the centre of their business. Understanding what the customer needs, how they shop and how their shopping experience can be made easier will always result in success. In retail, the consumer and their convenience is king. Omnichannel, customer-centric strategies will always have the competitive edge with shoppers.